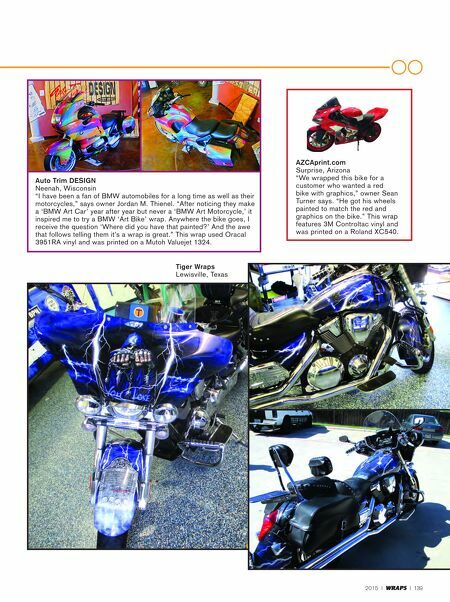 138 I WRAPS I 2015 - W r a p s s h o W c a s e - Two-wheeled Wraps Tiger Wraps Lewisville, Texas pGNola Marrero, Louisiana This wrap features two different films, one of which is matte laminated. 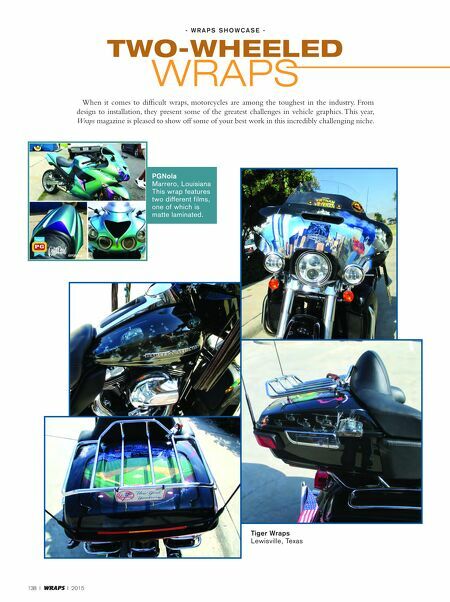 When it comes to difficult wraps, motorcycles are among the toughest in the industry. From design to installation, they present some of the greatest challenges in vehicle graphics. This year, Wraps magazine is pleased to show off some of your best work in this incredibly challenging niche.